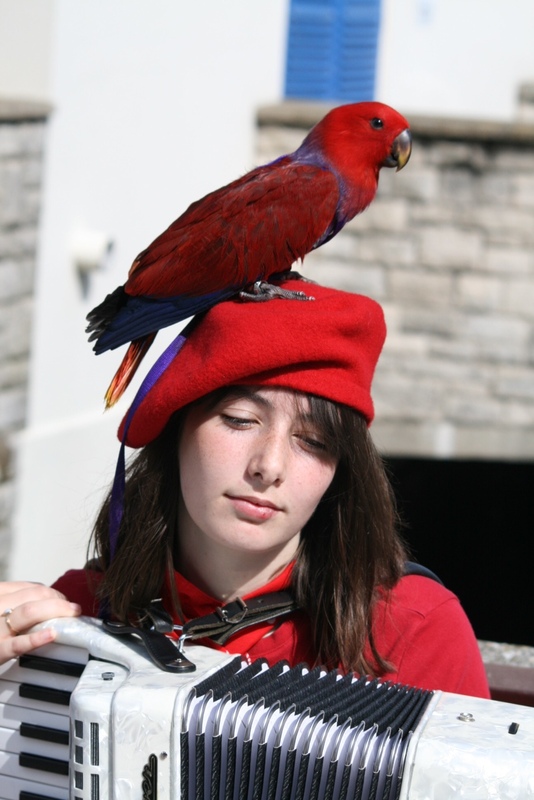 We have arranged for India to come along and busk at LAF on Sat 19th Sep.
She plays the accordion, has an amazing voice and will bring her pet Parrot called Rupee who sings along with her. She is a student at Canterbury University studying Latin and Greek who also a busks in her spare time. Mervyn Huggett has just spent 10 days sailing with India on The Amelie Rose to the Paimpol Sea Shanty Festival in Brittany.